Whitening procedures can restore the smile of people with stained, dull, or discolored teeth. Coffee tea, colas, berries, soy sauce, red wine and tobacco are notorious for staining teeth. Over time, teeth become more absorbent and vulnerable to staining from food and other substances. More and more people today are choosing tooth-whitening procedures to reverse the effects of aging and staining from food and tobacco. Some commercially available “whitening toothpastes” can be somewhat effective at removing stains and making teeth a few shades brighter. However, some of these products have abrasive substances that can actually wear away your tooth’s enamel. Whitening agents actually change the color of your teeth, but only are effective on certain types of stains. For example, bleaching agents have a difficult time removing brownish or grayish stains. These products also are not as effective on pitted or badly discolored teeth. Bleaching does not work on restorations such as crowns, bridges, bonding and tooth-colored fillings. 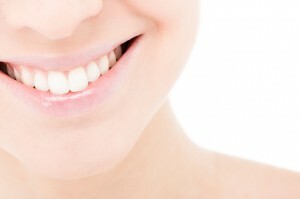 Porcelain veneers or dental bonding may be more appropriate to lighten the teeth in these cases. Professional whitening performed by our office is considered to be the most effective and safest method; done properly, tooth whitening can last several years. Over-the-counter whitening systems are also effective as long as the directions are closely followed.